One of the most beloved American books is "How to Win Friends & Influence People" by Dale Carnegie. The book, originally published in 1937, has sold over 30 million copies. It is a favorite of those who want to succeed in business and marketing, but its acclaim extends well beyond this milieu. Eighty years after the book was published, millions of Americans have read this book and apply its principles as they work to succeed in their everyday lives. When trying to explain China's foreign policy, American analysts often present the "Belt and Road" policy in conspiratorial terms. Behind their words are cold war phobias about "global revolution" and "Bolshevism." However, in order to understand China's New Silk Road, they should look much closer to home, at Carnegie's classic, which is still the world's most widely read self-help text. In the beloved book, Carnegie urges his readers to avoid attacking and criticizing people, as such statements, no matter how justified, usually result in creating resentment from the other person. Instead, Carnegie urges his readers to genuinely praise the attributes they like in other people, and not to be glib or deceptive in doing so. When looking at China's behavior in the international arena, you will notice that China rarely, if ever, threatens the use of military force. Just as Dale Carnegie writes that by genuinely building up other people's better traits, their negative traits can be voluntarily diminished, China seeks to win friends by building infrastructure and providing development loans to governments. Chinese diplomats do not use terms of contempt and vitriol. Chinese foreign policy mostly does not involving putting sanctions on countries that have crossed it. Carnegie reminds his readers, in the beloved text, that the primary interest of human beings is themselves. He advises his readers that rather than demanding others fulfil their needs, they should figure out how they can fulfil the needs and desires of others, and in the process, achieve their goals. 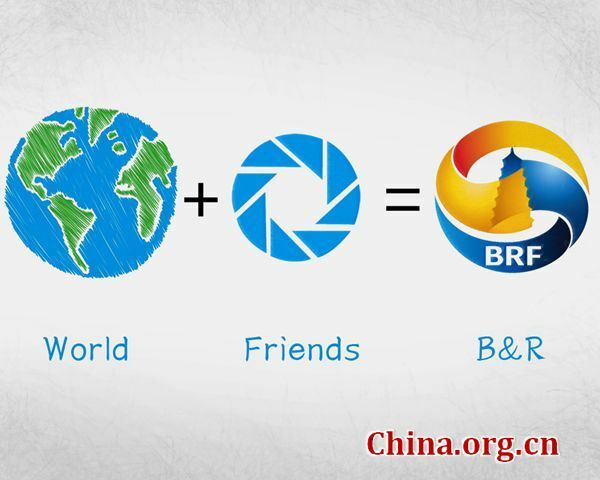 One can see China establishing international relations in a similar manner. China does not approach countries like Bangladesh, the Philippines, or New Zealand with sentiments of "What Can You Do For Us?" Rather, China looks into the domestic problems plaguing such countries, and sees how trade relations can be crafted in a mutually beneficial way. Dale Carnegie's methods were not the result of his own personal brilliance. According to the book, he spent a long time studying human psychology and observing successful people. Around the same time that Carnegie was developing his wisdom about human interactions, the founder of modern China, Mao Zedong, was leading the War of Resistance Against Japanese Aggression on Chinese soil. In Mao Zedong's writings on the concept of "The Mass Line" one can see Mao giving similar advice to Chinese Communists on how to win the masses of workers and peasants to support them. He urges the Party members to have humility, and not think of themselves in lofty terms. Mao Zedong writes: "The masses are the real heroes, while we ourselves are often childish and ignorant, and without this understanding, it is impossible to acquire even the most rudimentary knowledge." Mao urged China's Communists not to practice "commandism" and expect the population to fall behind them. Rather, he called on them practice a method of "from the masses, to the masses" and find out the real hopes and dreams of Chinese people, and then develop a political program that can address these needs. Dale Carnegie was a strong adherent of American capitalism, while Mao Zedong was the ideological father of the Chinese Communist Party. Despite vastly different backgrounds and perspectives, both of them shared similar insights into how human beings relate to each other. Both of them understood that blatant selfish actions, coercion, and bullying are not effective strategies for human interaction. Both Mao and Carnegie saw that discovering mutual interests and rewarding positive attributes was much more effective. China seems to now be applying such an understanding to its relations on the global stage. Rather than interpreting China's practices with hostility and suspicion, countries around the world should perhaps seek to learn from their record of success. Focussing on positive traits and making friends is the key to diplomacy.